PUEBLO, Co. – The PBR’s (Professional Bull Riders) Real Time Pain Relief Velocity Tour will bring its thrilling, adrenaline-filled, edge-of-your seat excitement to Rupp arena for a one night event on January 27, 2018. 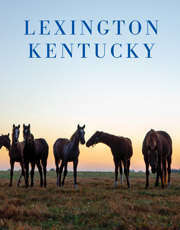 It will be the first time that the Velocity Tour has stopped in Lexington. For one huge night, some of the best bull riders in the world will battle the sport’s toughest bovine athletes. The thrilling 8-second rides and heart-stopping wrecks make the PBR’s Velocity Tour one of the most exciting live sporting events to see. The bull riding action begins at 7:00 pm ET on Saturday, January 27. Tickets, ranging in price from $15 to $100, go on sale Friday, November 23 to the general public and are available at the Rupp Arena box office, online at www.ticketmaster.com, and by phone at (800) 745-3000. Each rider will face one bull in Round 1, with the Top 10 scoring riders moving on to the championship round. At the end of the competition, the rider with the highest combined score will be crowned the champion. Lexington will be the 9th stop on the 2018 Velocity Tour, which spans the country in cities including Casper, Wyoming; Portland, Oregon; Dayton, Ohio; Bangor, Maine and Oakland, California. The 2018 Real Time Pain Relief Velocity Tour will culminate with the Velocity Tour Finals, leading into the PBR’s 2018 Built Ford Tough World Finals. The winner of the Velocity Tour Finals, the second- and third-place finishers, and the top international performer, along with the 2018 Velocity Tour Champion, will each qualify to compete at the PBR World Finals. Visit PBR LIVE for details about watching online streams of the 2018 Real Time Pain Relief Velocity Tour season. PBR LIVE is available at no charge to all fans and media. Fans can also watch all of the action via the PBR LIVE app, available for download now on Google Play and iTunes. The PBR’s Real Time Pain Relief Velocity Tour (RVT) began in 2014 as the premier expansion tour for the PBR. The RVT brings the excitement and talent of the PBR that fans have come to expect from the leader in the sport of bull riding to cities across the U.S. The tour is 100% produced and operated by PBR, providing fans the highest quality experience available. The RVT is proudly supported by Real Time Pain Relief, Pendleton Whisky, Matador Jerky, and the South Point Hotel and Casino. The world’s premier bull riding organization began as a dream of 20 bull riders 23 years ago and is now a global sports phenomenon. PBR broadcasts reach more than half a billion households in 40 nations and territories around the world, and more than 3 million fans attend live events each year. On its elite Built Ford Tough Series, the PBR features the Top 35 bull riders in the world and the top bulls in the business. The televised Built Ford Tough Series, the Real Time Pain Relief Velocity Tour, the Touring Pro Division and the PBR’s international circuits in Australia, Brazil, Canada and Mexico have paid more than $150 million in earnings to its athletes. Twenty-eight men have earned more than $1 million, including two-time PBR World Champion J.B. Mauney who, with his 2015 PBR World Championship, became bull riding’s first $6 million man and the richest athlete in Western sports history at $6.7 million in career earnings. In May 2015, PBR was acquired by WME | IMG, the global leader in sports, entertainment, media and fashion. For more information on the PBR, go to PBR.com, or follow on Facebook at Facebook.com/PBR, Twitter at Twitter.com/PBR, and YouTube at YouTube.com/PBR.